ESC Local 20 members at the EPA Region 9 do everything from managing toxic Superfund site clean-ups to ensuring clean air and water for all of us, as well as preventing the misuse of government funds earmarked for specific programs. 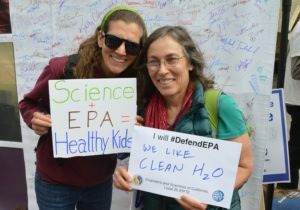 The EPA plays an important role in the health of our communities, environment, and economy. But the proposed 31% reduction in federal funding and a 21% reduction in the workforce at the EPA is putting all this in jeopardy. Reductions in the EPA workforce or the monetary resources necessary to complete this work could lead to a return to a smoggy 1970s-era Los Angeles skyline or another Love Canal tragedy. 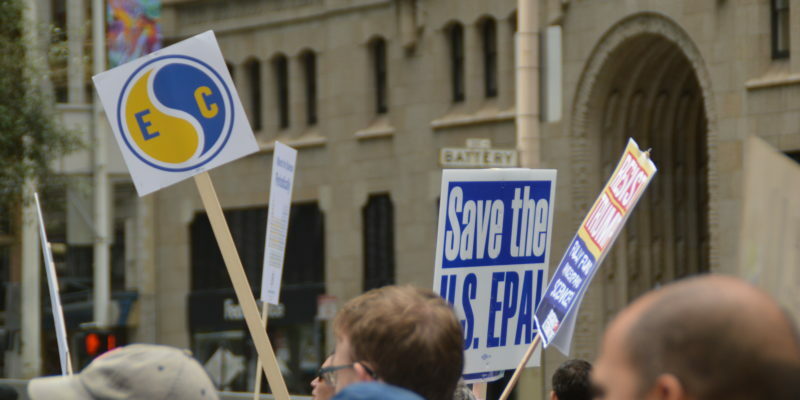 Read Kathy Setian’s, retired EPA Project Manager and ESC Local 20 Steward, speech at the March for Science about the importance of defending the EPA and the role of our union. As producers of facts and truth who provide the data and research needed to make evidence-based policy decisions, scientists are dedicated public servants and are facing unprecedented challenges to their scientific integrity. Our Union acts as a line of defense to allow the execution of our work without fear of retaliation from corporate or political power, and to uphold our responsibility to the public good. STEP 1: Sign-up for updates!